The QBZ-95-1 is issued with a bayonet and, along with six WY-91 hand grenades, forms the firepower of the average PLA soldier. Each nine-man PLA squad has two fire teams, with one grenadier per fire team. The grenadier carries a QBZ-95-1 equipped with a 35-millimeter under barrel grenade launcher similar in concept to the long-serving U.S. Army M203 grenade launcher. One of the most widely issued—but least known—infantry small arms is the QBZ-95-1 assault rifle. 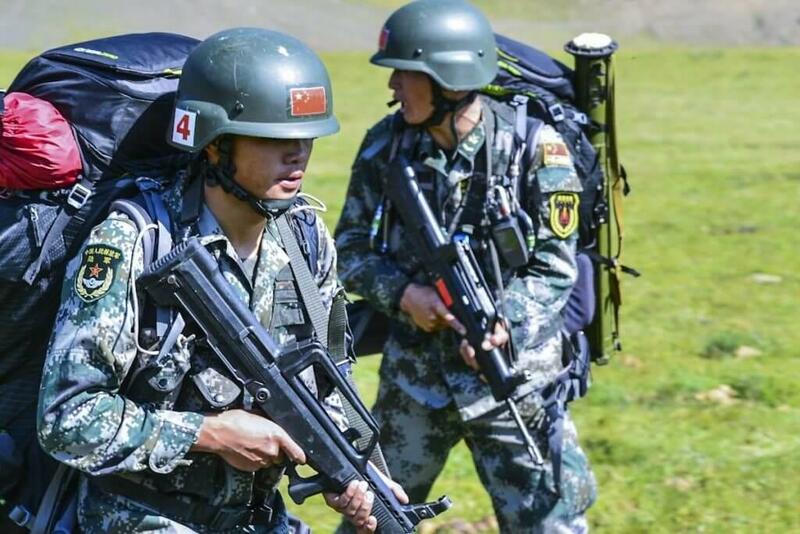 The QBZ-95-1 is the official rifle of the People’s Liberation Army (PLA) and its various sub-branches, including the People’s Liberation Army Navy Marine Corps. Unorthodox in appearance, the bullpup QBZ-95-1 also fires an unusual 5.8-millimeter cartridge. The result is a unique weapon symbolic of China’s attempt to go its own way in the world of military small arms. China was one of the largest land powers of the twentieth century—though not exactly the most powerful. The People’s Liberation Army, both before and after the end of the Chinese Civil War, was predominantly an infantry army with millions of trained ground troops. After the civil war, China’s “People’s War” military doctrine stressed defensive wars, in which invaders were lured deep into the Chinese interior and then destroyed by a combination of regular and guerrilla forces. The 1991 Gulf War, in which a rapidly moving U.S.-led coalition swiftly destroyed a larger Iraqi Army (often equipped with Chinese weapons) was a seismic event in Chinese defense thinking. The People’s Liberation Army was thoroughly revamped, and part of that revamping was the introduction of a new generation of infantry small arms. Older weapons, including the Type 68 and Type 56 assault rifles were retired. In their place arrived the new QBZ-95-1 series of assault rifles. The QBZ-95-1 is a uniquely Chinese rifle, with a futuristic look that was a clean break from older, Soviet-inspired weapons. The weapon is officially known as the QBZ-95-1 5.8-millimeter assault rifle, with the initials standing for “Light Infantry Weapon, Infantry, Automatic.” The basic ammunition load for PLA troops is 300 rounds, carried in ten 30-round magazines. The QBZ-95-1 is a bullpup weapon, meaning the action and magazine are all located behind the trigger group. This creates a more compact weapon: although the rifle is just under 30 inches long, it has a barrel with a length of 20 inches, as long as that on a M16A4 assault rifle. That’s 5.5 inches longer than that on the M4A1 carbine and should be good for a slight range increase over the American infantry carbine. The QBZ-95-1 uses a short stroke, gas piston design, the same as used in rifles such as the M1 Garand and AK-47. In that respect, China’s infantry rifle still maintains its Soviet heritage. Its rate of fire is 650 rounds a minute. The weapon uses iron sights integrated into a carry handle running along the upper portion of the receiver. Although some rifles have been observed with optical sights installed on the carry handle, the already high height over bore of the mounting site makes add-on optic integration less than ideal. Unlike U.S., NATO, and Russian assault rifles that use 5.56 or 5.45-millimeter cartridges, the Chinese weapon uses a locally designed 5.8×42 round. Exactly why China chose to develop an entirely new round is unknown, although it could be for security reasons. The 5.8-millimeter round offers improved ballistics performance over the U.S. Army’s 5.56-millimeter M855 round when that round is fired from the M4A1 carbine. This may be a function of the slightly larger round, pushed by slightly more propellant out of a longer (20” vs. 14.5”) barrel. The QBZ-95-1 is issued with a bayonet and, along with six WY-91 hand grenades, forms the firepower of the average PLA soldier. Each nine man PLA squad has two fire teams, with one grenadier per fire team. The grenadier carries a QBZ-95-1 equipped with a 35-millimeter underbarrel grenade launcher similar in concept to the long-serving U.S. Army M203 grenade launcher. The grenadier also carries an additional fifteen rifle grenades. A heavier QBB-95 light support weapon features a bipod and 75-round magazines for laying down suppressive fire. Despite the increasingly mechanized nature of the People’s Liberation Army, China’s infantry arm is still, as it is in other armies, the “Queen of Battle.” The QBZ-95-1 is a powerful and reliable, although slightly dated, weapon that was emblematic of the military revolution that began in China in the early 1990s and continues to this day. Pistol-caliber AR firearms shoot exactly like rifle caliber AR-15 weapons, with just a few exceptions. Although the weapons are semi-automatic the fast rate of fire problem persists and the weapons experience above average breakage of bolt catches, bolts, and firing pins. Counterintuitively, pistol caliber ARs have significant recoil, at least as much as a 5.56-caliber AR-15. Many indoor shooting ranges will allow the use of pistol-caliber ARs, with their lower noise signature and lower velocity rounds. The pistol caliber AR is an interesting variant on the AR-15 platform that is gaining a wider audience. 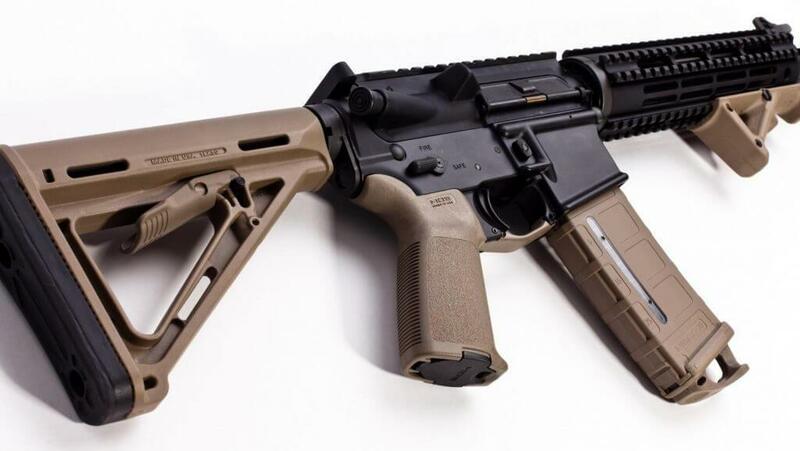 Although internally different from a typical AR-15, it is essentially identical in operation, with the same loading, manual of arms, and jam-clearing procedures. For those who don’t need the high velocity of a rifle cartridge, the pistol caliber AR is an intriguing alternative. The AR-15 series of rifles is one of the most versatile long gun platform ever invented. The original AR-15 weapon was adopted by the U.S. military in the mid-1960s as the M16 assault rifle. The M16 fired 5.56-millimeter ammunition and used the direct impingement gas operating system to cycle the weapon. Under the direct impingement system, the M-16 siphoned off hot, high-pressure gunpowder gasses from the barrel to cycle itself. The gasses drove the bolt carrier group (BCG) backward out of battery, ejecting the spent brass cartridge. As the BCG continued rearward it made contact with a spring-backed buffer tube which propelled it forward again. Moving forward, the BCG picked up a fresh round and returned to battery, ready to fire. The direct impingement system was an integral part of the M16 rifle and was carried over to successive versions including the M16A1, M16A2, M16A3, M16A4, and the M4 carbine. In the 1980s, Colt decided to take a different tack and develop a new version in 9-millimeter Parabellum, a popular pistol cartridge. The use of a pistol cartridge, which used significantly less gunpowder than the 5.56 cartridge and generated significantly fewer gunpowder gases, necessitated a reworking of the new weapon’s operating system. Colt’s designers deleted the direct impingement operating system, which allowed them to remove the gas block and gas tube. The new gun worked on the blowback principle, a system long in use among semi-automatic pistols. Expanding gases generated from burning gunpowder drove the bolt carrier group backward, ejecting the spent cartridge. The BCG is driven back against the spring-backed buffer tube, then forward again, whereupon it picks up a fresh cartridge and goes back into battery. Unlike the direct impingement system, which uses only a portion of the energy of the 5.56 ’s propellant gases, the new blowback system used all of the energy of the 9-millimeter round. The pistol cartridge generated so much energy, in fact, that the cyclic rate of fire was a lightning-fast 1,250 rounds per minute. This also exerted great force on the new gun’s internal parts, damaging bolts and the hammer and trigger pins that held the fire control group inside the lower receiver. A hydraulic buffer slowed the rate of fire to 650 to 850 rounds per minute. The new weapon was based on the Colt “Commando,” a short-barrel carbine developed for U.S. Special Forces during the Vietnam War. The barrel was 10.5 inches long, suitable for close quarters combat. The magazine was a straight stick-type magazine that held thirty-two rounds. The new weapon was used by the U.S. Marine Corps Fleet Anti-Terrorism Security Teams (FAST), the Drug Enforcement Administration, and the U.S. Department of Energy . These organizations favored lower energy, lower velocity pistol round over higher energy, higher velocity rifle round—particularly inside hijacked commercial airliners and in close proximity to nuclear weapons. The expiration of the 1994 Federal Assault Weapons Ban saw an explosion in AR-15 innovation, and the firearms industry was quick to exploit Colt’s original 9-millimeter design. Today, AR-style weapons are available in 9-millimeter, 10-millimeter, .45 ACP, .40 Smith & Wesson, and 5.7-millimeter. Like the original Colt, these weapons use a blowback operating system, and while some use Colt-style magazines others accept magazines made for Glock handguns.